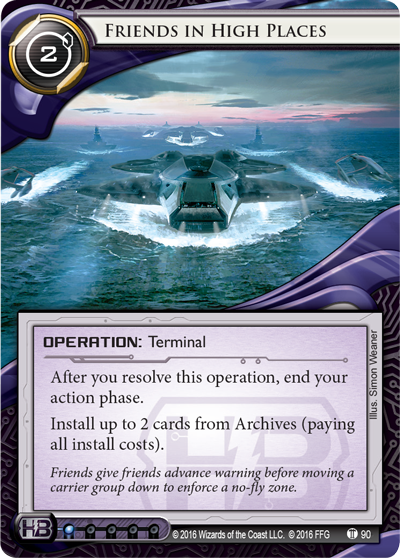 The latest version of the Android: Netrunner NAPD Most Wanted List is now online! Each quarter we evaluate the health of the competitive Android: Netrunner metagame and make changes to the Most Wanted List when necessary. Today’s change is larger than the usual update. Learn why these changes were made directly from the lead developer himself in the paragraphs below, and then download today’s update to the Most Wanted List now to see the changes for yourself! This update goes into effect 10/1/2017. 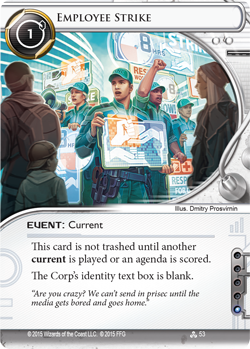 Ever since the introduction of the NAPD Most Wanted List, Android: Netrunner has grown in unpredictable and exciting ways. First introduced by the game’s previous developer, Damon Stone, the Most Wanted List has kept the play environment healthy and diverse. Though the first iteration worked wonders, there were a handful of cards that were simply too potent for it, spawning the creation of the leveled system in the most previous version. While the levels and universal influence introduced in version 1.2 took this curtailing of the meta a step further, it had the unfortunate side effect of complicating the deck building process, one of the most exciting aspects of any LCG. Additionally, though the efficiency of problematic decks was limited, the Most Wanted List didn’t entirely remove these decks from the environment, sometimes still allowing for negative play experiences to arise. For these reasons, we’ve decided that a more direct, streamlined, aggressive list is the way to go. As such, I’m excited to introduce version 2.0 of the Most Wanted List. Some cards, while powerful on their own, are only truly problematic in relation to other cards. This is where the Restricted section of the Most Wanted List comes in. Up to three copies of one card from the restricted section may be included in your deck, meaning that bothersome combinations will no longer be an issue. 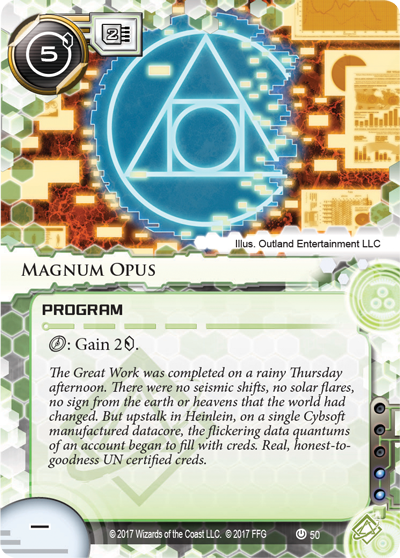 As an example, if you were to put even one copy of Magnum Opus in your deck, you would not be able to include Employee Strike as it, too, is on the restricted section. While, by themselves, these cards are useful tools in countering certain dominant Corp decks, they can work together to wipe out of a variety of strategies in detrimental ways. Other cards, however, have simply proven to be oppressive on their own. Luckily, we now have the Removed section of the Most Wanted List! No cards from the removed section may be included in any deck. 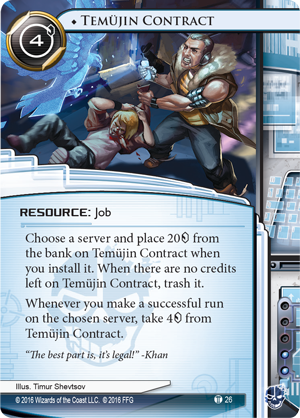 Friends in High Places, for instance, does an amazing amount of work for very little investment, while a card like Temüjin Contract puts the economic war at the heart of Android: Netrunner overwhelmingly in the Runner’s favor. These cards, though sometimes fun to play with, often create situations that are not enjoyable to play against. I’m greatly looking forward to how this new list, alongside rotation, creates an interesting and dynamic meta unlike any that we’ve seen before. Download the new Android: Netrunner Most Wanted List now to read the entire update before it goes into effect on October 1st. 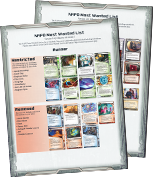 Players attending a tournament before October 1st can still find the previous Most Wanted List, along with other rules documents and support materials, on the Android: Netrunner page.